Welcome to the Homepage about my Journey 2013/14! On this Website I want to tell you storys and show you some pictures from China and Australia. I started at the 20th August 2013 in Frankfurt, flew to Shanghai and then to Beijing. Now I stay for three weeks at Kemal`s home; doing some sightseeing, eating good food from all over the world and visiting friendly people. At the 10th September I am going to travel to Melbourn over Shanghai and start work and travel there at a trout farm. After that... let`s see what will happen till then.. I will try to write some news on my Website as often as possible but this is not easy in China. A lot of Websites for communication, like Facebook, Twitter, Google, YouTube and also my Homepage are not allowed and not possible to open here. 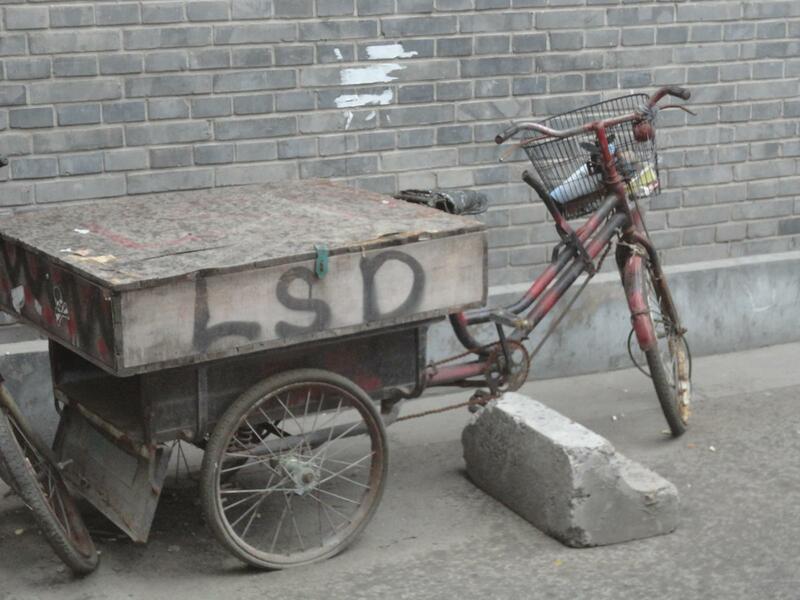 I have seen this special vehicle in Beijing.... What do you think is in there?! Heute waren schon 1 visitors (7 hits) hier!